Neri Oxman, the Sony Corporation Career Development Professor and Associate Professor of Media Arts and Sciences and head of the MIT Media Lab’s Mediated Matter research group, has been named the 2014 recipient of the Vilcek Prize in Design. The prize recognizes foreign-born individuals in the United States who have demonstrated exceptional design achievements early in their careers. 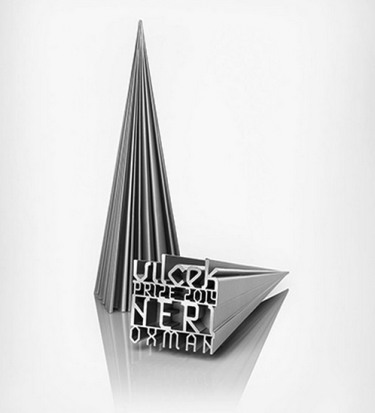 The $100,000 prize will be presented to Oxman in New York City in April. Oxman, an Israeli who came to MIT in 2005 as a PhD student, is recognized as a leader of the biological revolution in design, and credited for coining the phrase “material ecology.” Her research, inspired by nature, draws upon biology, computational design, materials science, and digital fabrication to challenge traditional design principles. Inspired by nature, Oxman employs computer algorithms and digital fabrication technologies, such as 3-D printing, to create unique three-dimensional forms and systems. Her work has been displayed worldwide, including shows at the Museum of Modern Art in New York, the Centre Pompidou in Paris, the Museum of Fine Arts in Boston, and the Smithsonian in Washington, D.C. The Vilcek Foundation was established in 2000 by Jan and Marica Vilcek, immigrants from the former Czechoslovakia. The mission of the Foundation — to honor the contributions of foreign-born scholars and artists living in the United States — was inspired by the couple’s careers in biomedical science and art history, respectively. Recent past recipients in the arts include Yo-Yo Ma and Mikhail Baryshnikov.